Two Grey Hills Rug by Irma Henderson. 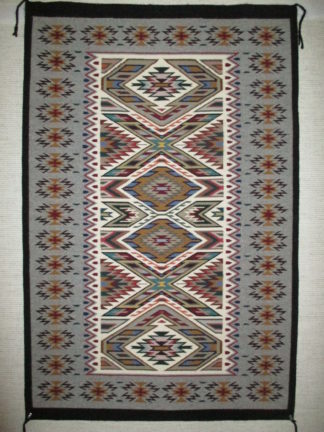 Larger size Navajo Weaving. 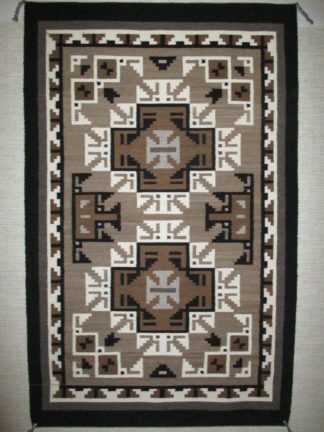 Very attractive single-diamond pattern on a very well-woven Two Grey Hills Navajo rug.